KANSAS CITY, Mo.—What could be better than to share the experience of seeing Shen Yun Performing Arts, the premier classical Chinese dance and music company, with a friend when it came to Kansas City to perform. Candance Spurny thought so when she purchased two tickets to celebrate the birthday of her friend, June Dacus. 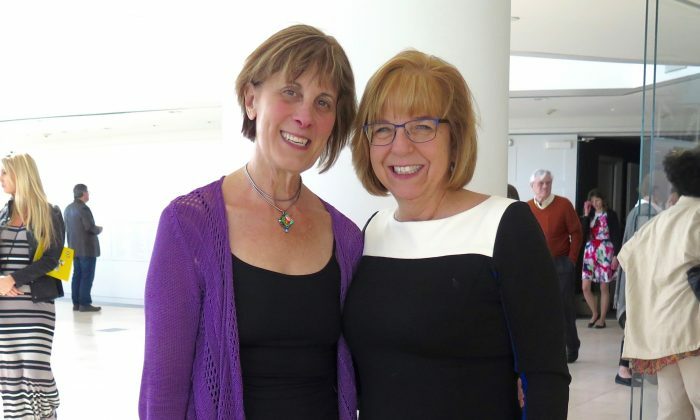 Both women thoroughly enjoyed and were touched by the opening night performance at the Muriel Kauffman Theatre at the Kauffman Center on April 1. Shen Yun provides audiences around the world with a glimpse into 5,000 years of traditional Chinese culture. It is a culture that exalts the divine and strives for harmony among humankind, the earth, and heavens. Unique dance, music, song, and colorful animated backdrops are the means Shen Yun uses in 20 short performances. “It was awesome,” Ms. Spurny said. “I liked the history of the dance [that] was presented before each dance. I really enjoyed it.” Each performance was introduced by two emcees. Classical Chinese dance is the primary form of expression in the performances. It is a separate and distinct dance system that has been passed down and refined for thousands of years. “Fabulous,” Ms. Darcus said. “The costumes were so beautiful, and the dancing was so good. I thoroughly enjoyed it,” she said. In 2006, a group of dancers and musicians formed Shen Yun in New York in order to enjoy the freedom to express Chinese traditional culture in its fullest and purest form. In their home country, China, Shen Yun cannot perform due to campaigns against traditions of the communist regime. A few of the dances depict this repression. “You feel empathy for them going through so much of the communist reign,” Ms. Spurny said. “We know that they’re not free in communist countries,” said Ms. Darcu. “A lot of young people who live in our free country with freedom of expression don’t really understand that a dance like this cannot be performed in China, because of what it represents. It touched my heart,” she said. Ms. Darcu thought her friend’s birthday gift was just great.